Saige Lind is the 2018 winner of MCC U.S. Washington Office's annual essay contest for her essay on mass incarceration. Saige is a sophomore at Nathan Hale High School in Seattle, Wash., and attends Seattle Mennonite Church. Saige Lind, a high school sophomore who attends Seattle Mennonite Church, has earned the grand prize of $1,000 in the Mennonite Central Committee (MCC) U.S. Washington Office annual essay contest for her essay on mass incarceration that highlights the ways that people of color have been targeted by the war on drugs. Simon Graber Miller, Greta Schrag and Alistair Tollar won honorable mention prizes of $500 for their essays. In this year’s contest, Anabaptist high school students in the U.S. were invited to write about the topics of climate change, foreign assistance or mass incarceration. Read the full story on mcc.org. Photo: Saige Lind is the 2018 grand prize winner of our annual essay contest. Photo courtesy of Carl Lind. Congress has finally approved the package of spending bills for Fiscal Year 2018, totaling $1.3 trillion, to keep the government funded through September. The Pentagon received a whopping $61 billion increase, for a total of $660 billion, one of the highest spending levels since World War II. This means fewer funds are available for all other programs. Foreign assistance: Foreign assistance is funded at $54.02 billion, a cut of $3.3 billion (6 percent) from the enacted FY17 level. Some poverty-focused development assistance programs received increases, such as development assistance and agriculture appropriations (Food for Peace and the McGovern-Dole program), while others did not. Migration and Refugee Assistance is funded at the same level as last year. Gun violence: The spending bill includes legislation known as the "Fix NICS Act" that encourages federal agencies and the military to upload records in the federal background check system. The bill also allows the Centers for Disease Control and Prevention to conduct research on gun violence as a public health concern. Finally, the spending bill incorporates a measure to provide additional funds for grant programs to improve security at schools. Haiti: The spending bill includes $10 million for communities affected by cholera in Haiti. This contribution will nearly double the amount that has been contributed by other countries to the UN’s promised New Approach to Cholera in Haiti. The administration has opposed financial support to the cholera plan for Haiti, so the support from Congress is a welcome sign. Immigration: The package contains $1.6 billion for border security including 33 miles of new “fencing,” but does not include funding requested by the White House for 10,000 additional immigrant detention beds and 850 more immigration enforcement officers. It also does not include a fix for the Deferred Action for Childhood Arrivals (DACA) program. Read more. Foreign aid is money well spent. The need for generous foreign assistance. 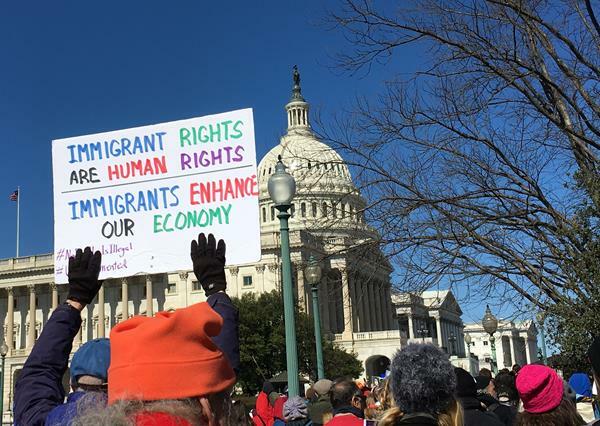 Photo: Immigration rally outside the U.S. Capitol on March 5, 2018. MCC photo/Tammy Alexander. 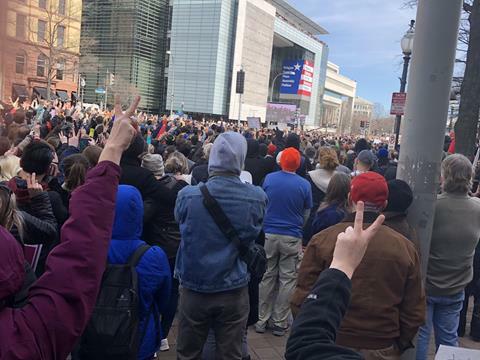 Photo: Leaders from Brethren in Christ, Mennonite Brethren and Mennonite Church USA churches advocated for better immigration policies on Feb. 28. MCC photo/Cherelle M. Dessus. 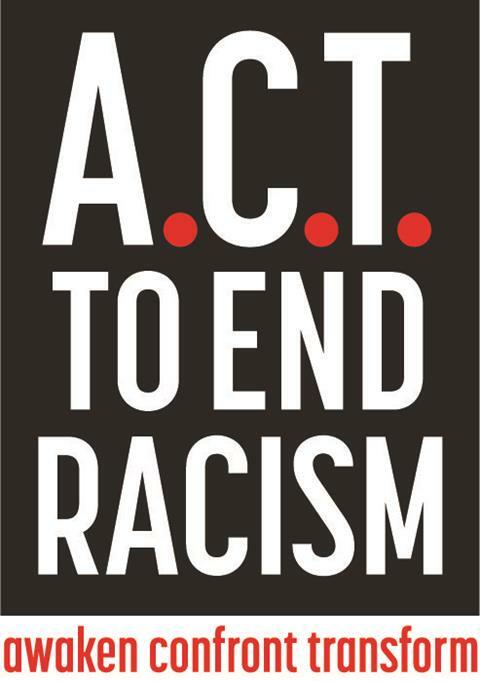 Join us at the ACT Now: Unite to end racism rally and events, Washington, D.C., marking 50 years since the assassination of Dr. Martin Luther King, Jr. Healthy sexuality in our congregations: Part of an MCC webinar series to help your congregation create a community of care for those affected by harm and to find life-giving ways to talk about healthy sexuality and sexualized violence. Register for the Faithful Advocacy Seminar in Lancaster, Pa. offered by MCC and the Pennsylvania Council of Churches. This two-day event focuses on state criminal justice legislation and is followed by in-district legislative visits. 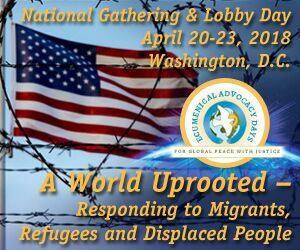 This year's Ecumenical Advocacy Days focuses on migrants, refugees, and displaced people. Ruth Keidel Clemens, program director for MCC U.S., will speak at a seminar on Syria, and Charles Kwuelum will present at a workshop on Nigeria. Climate advocacy summer internship: In partnership with the Center for Sustainable Climate Solutions, this internship is for students with an interest in climate action, domestic policy and advocacy. Based at the MCC Washington Office, it includes housing and a monthly stipend. 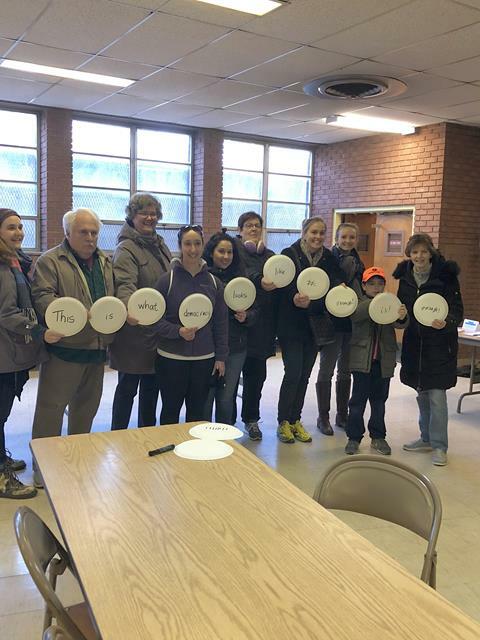 From Feb. 26 to March 10, Rachelle Lyndaker Schlabach traveled to Lebanon, Jordan, Palestine and Israel with advocacy colleagues from the MCC UN and Ottawa offices. If your congregation is interested in having Rachelle speak about her trip and U.S.-Middle East policy, click here. On March 3, Charles Kwuelum spoke at a congressional briefing on Nigeria titled “Returnees, garrison towns and reintegration.” He presented an overview of the current situation in the northeast, highlighting humanitarian needs and making recommendations to U.S. policymakers, the international community and Nigerian government. On March 13, Rachelle gave a presentation about advocacy via videoconference to the Intro to Peace Studies class at AMBS. Twenty nursing students from Eastern Mennonite University visited the office on March 23 to learn general advocacy tips and speak with congressional staffers about health care issues. 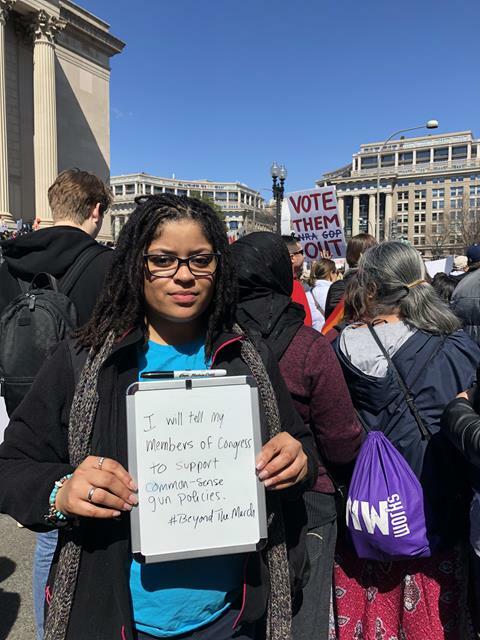 Cherelle M. Dessus participated in March for Our Lives on March 24. Together with the Church of the Brethren Office of Peacebuilding and Policy, we sponsored a gathering before the start of the rally. 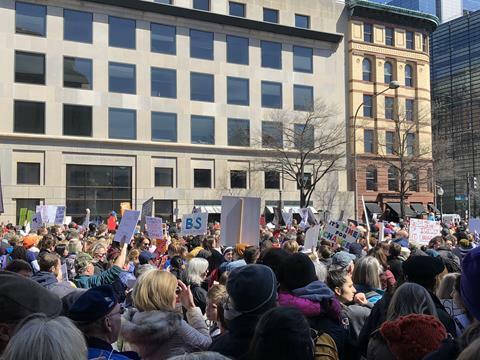 The march highlighted gun violence prevention legislation that Congress and the administration could support. Tell your members of Congress to support common-sense gun policies.